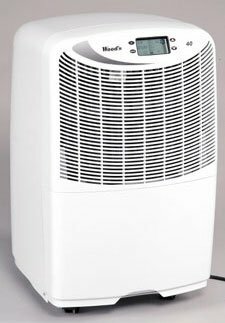 These dehumidifiers are very affordable given all the features they offer. They will remove moisture down to 50��F, have washable and reusable air filters, and they are Energy Star rated for efficiency. The most exciting feature of all is their programmable humidistat which displays exact humidity level accurately along with temperature in Celsius or Fahrenheit, and lets the user set the desired humidity level with easy to use push buttons. These Millennium Low Temp dehumidifiers offer easy to use, lower temperature operation at an affordable price! The electronic control display with a humidistat you can set to your desired humidity level set these dehumidifiers apart from the crowd. We tested them in New England during the winter and found the low temperature operation to be accurate. We were hoping for more humidity, but this winter it was hard to find. We had to add our own to the basement room and the unit performed up to our expectations for moisture removal as well.